Nvidia Black screen problem “Display driver stopped working and has recovered” can be caused by different issues, but mostly due to power supply issues and driver issues. If you meet this problem, try solutions below to solve it. If the power saving the drivers tries to make changes on the Nvidia video cards, the problem would occur. 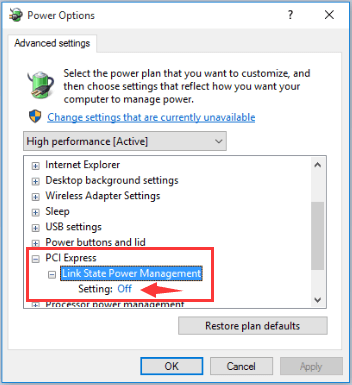 Follow these steps to change the power management setting. 2) View by “Small icons” in Control Panel and click Power Options. 3) Change plans to High Performance. After opening Power Options window, if you do not see High Performance option, expand “Show additional plans”, then you will see it there. 4) After that, click Change plan settings. 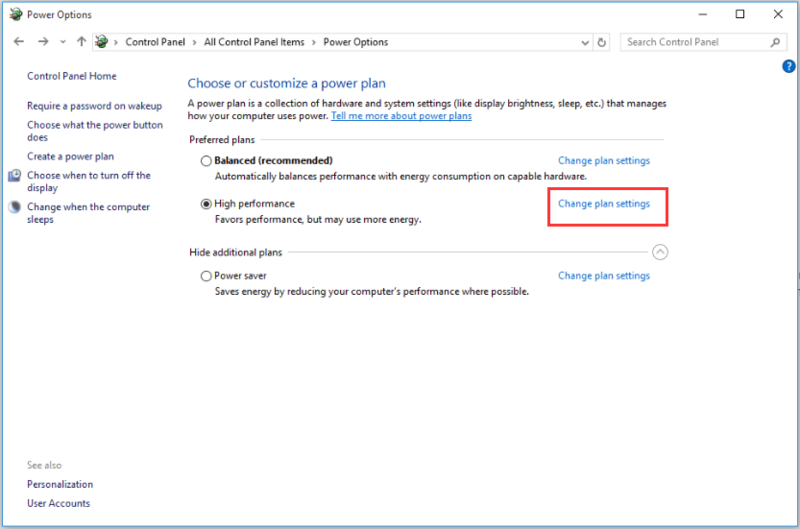 5) Click Change advanced power settings. 6) Expand PCI Express then Link State Power Management. Make sure the setting is Off. 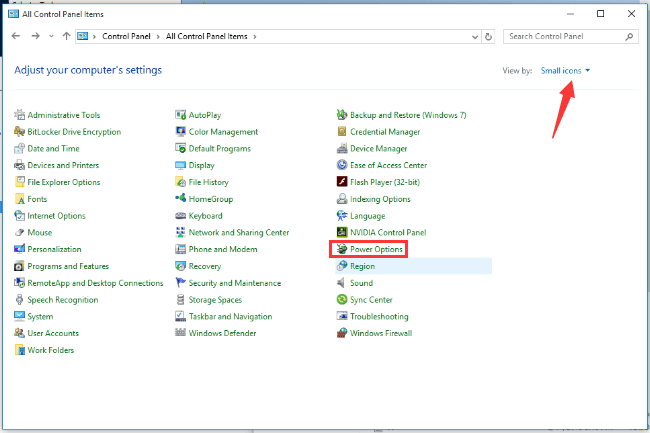 7) Right-click on PC desktop and click NVIDIA Control Panel. 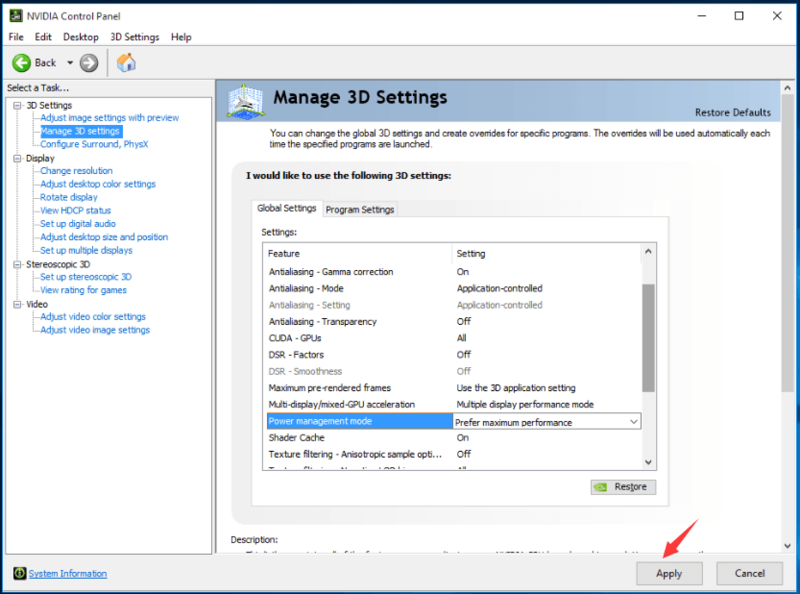 8) Click Manage 3D settings in right pane. 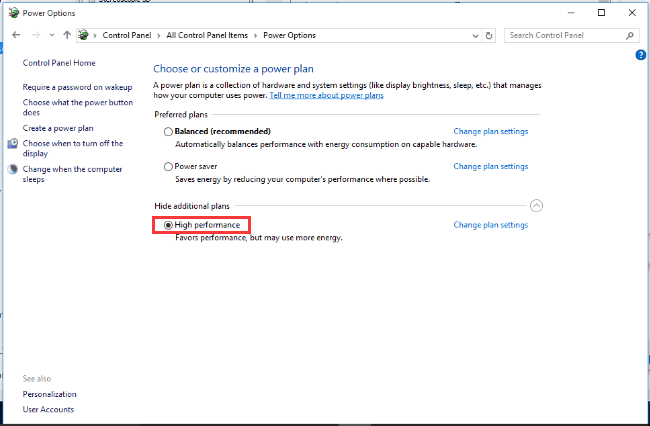 In left pane at “Global Settings” tab, select “Power management mode” to Prefer maximum performance. Then click Apply button to make the change take effect. Right click the the game icon and select Properties. Select the “Compatibility” tab and check the box for “Disable Desktop Composition” and click OK button. The problem can also be caused by faulty graphics drivers. To fix this problem, you can try below. 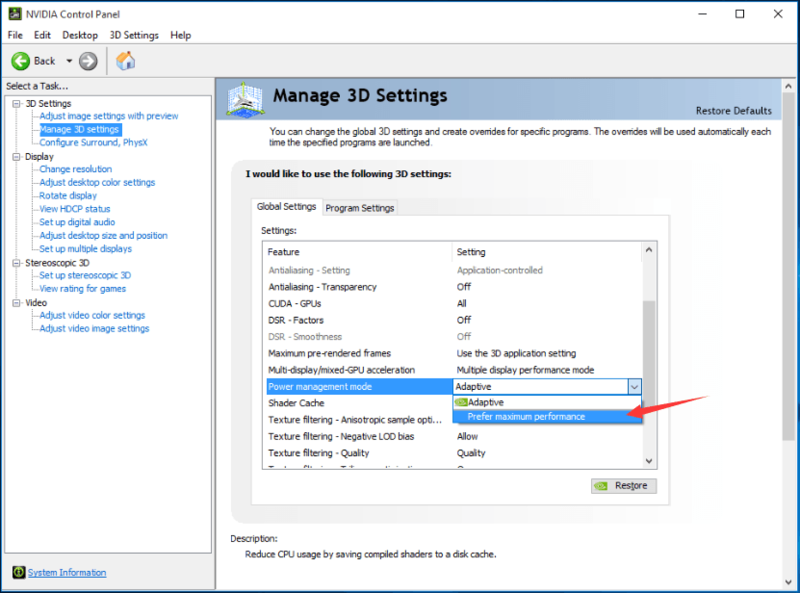 Follow steps below to uninstall the Graphics driver. Type devmgmt.msc in the run box then click OK button. This is to open Device Manager Window. 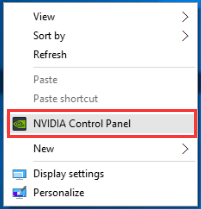 2) Expand “Display adapters” category and right-click on NVIDIA device name. The context menu will pop up. 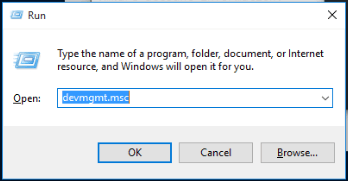 Click Uninstall on context menu. 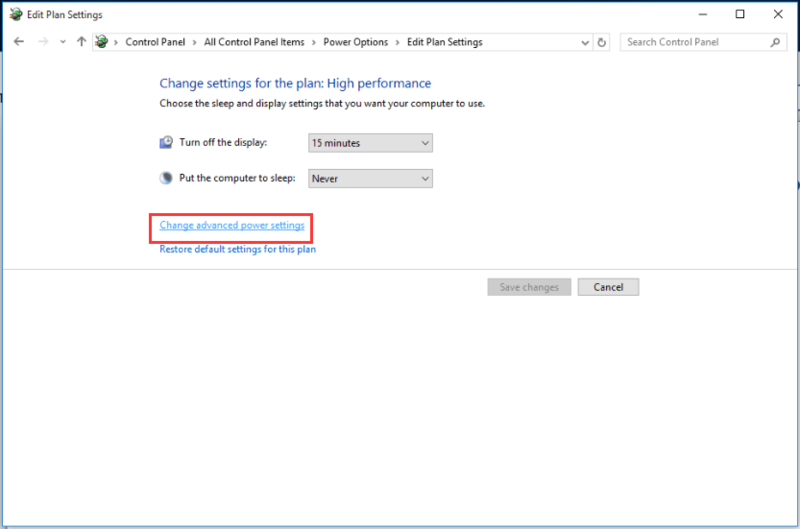 After uninstall the driver, restart your PC for the changes to take effect. Then Windows will load the correct drivers. You can go to your PC manufacturer’s website or Nvidia website to download the latest drivers for NVIDIA Graphics card. The driver can be normally downloaded from “Support” section of the website. Usually, the downloaded driver package contains .exe setup file. To install the driver, double-click on this file then follow the on-screen instructions. If you are having difficulty downloading drivers manually, you can use Driver Easy to help you. 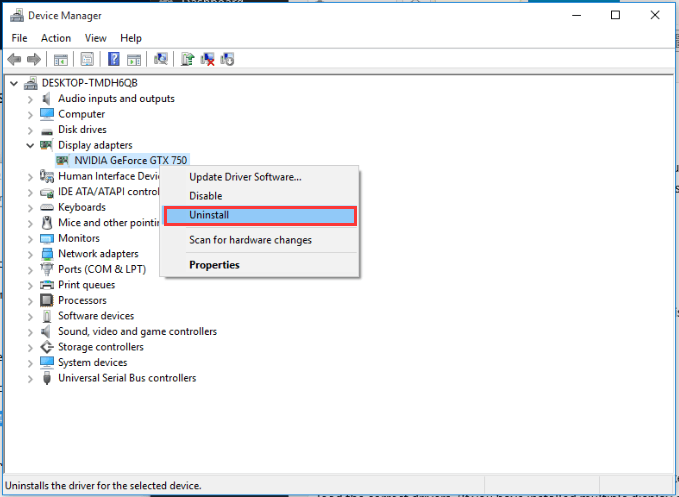 Driver Easy is a driver update tool which can detect all problem drivers in your computer. Then find and download new drivers for you. 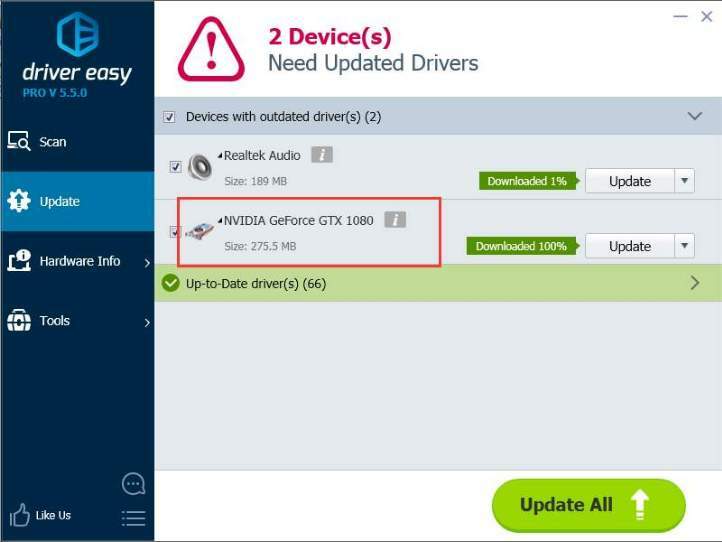 So if your Nvidia drivers are outdated, your can use Driver Easy to download the latest drivers. Driver Easy has Free version and Paid version. Both versions can be used to download drivers freely. But with Free version, you are required to install drivers manually. To save more time, you can consider using the Paid version. With Paid version, you can get higher download speed, and update all drivers automatically with just 1 click. We offer free technical support guarantee and 30-day money back guarantee. You can ask for further assistance regarding your Nvidia black screen issue and a full refund if you want.